On January 26th, Australia celebrates Australia Day, its national holiday. This date commemorates the arrival of the First Fleet at Sydney Cove in 1788. It no longer takes thirteen months to get to Australia, but it’s still a pretty distant and exotic land. For those of you who have never been able to travel to the Land Down Under, we thought we’d give you a glimpse by taking you on a brief tour of literary Australia. Let’s start with the Indigenous Australians. We could present you with a long list of great books written by contemporary Indigenous writers, but we only have time to highlight two of the best. My Place by Sally Morgan is a moving memoir. Morgan did not learn of her Indigenous heritage until she was 15. Later in her life, she went on a journey in search of the story of her mother and grandmother. It’s a fantastic portrait of one family and their struggle with shame, belonging, and ultimately, a discovery of the pride that stems from their Indigenous roots. The second title is That Deadman Dance by Kim Scott, an Indigenous writer and who won the 2011 Miles Franklin Award. That Deadman Dance explores the early contact between the Aboriginal Noongar people of Western Australia and the first European settlers. The novel has been praised for great research, beautiful style and a unique perspective. As a reader, I will always remember the heartbreak and immense betrayal that comes at the end of the novel. When people think of Australia, they first often first think of kangaroos, koalas, and endless summers. But behind this carefree image is a darker past. Australia began as a penal colony and to understand us properly you need to understand our rich convict heritage. We’ve chosen two titles that bring this period of history to life. 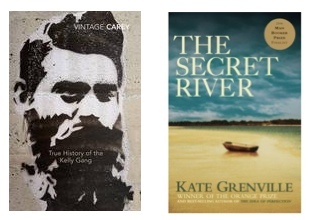 The first is True History of the Kelly Gang by Peter Carey. Carey is one of the most recognized contemporary voices in Australian literature and this novel won the 2001 Man Booker Prize for fiction. It tells the story of Ned Kelly, a famous and controversial Australian outlaw (a ‘bushranger’) and gives him a distinctive, loud, and somewhat attractive voice. Australia has a harsh and often dangerous landscape that challenged early settlers and although most Australians now live in cities, the landscape shapes our view of ourselves. In both literature and art, a child lost in the bush was a recurring theme and the Australian classic, Picnic at Hanging Rock, by Joan Lindsay beautifully portrays a hostile and dangerous land where children can simply disappear. For those who are keen to trek to the desert on a literary adventure, we highly recommend the Nobel Prize-winning novel, Voss, by Patrick White. Voss depicts the life of nineteenth-century explorer Ludwig Leichhardt who disappeared while on an expedition into the Australian outback. It might not be the easiest read, but it’s certainly a novel that encouraged me to explore Australian literature further. Much of Australia is still uninhabitable and will probably remain so. The majority of Australians live on the coastal fringes, in relative proximity to the ocean. 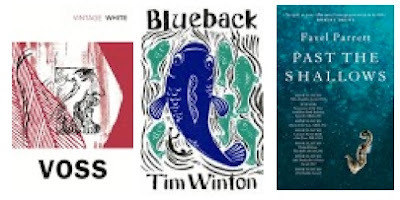 There are few writers more quintessentially Australian than Tim Winton and he excels when describing our relationship with the sea. We suggest starting with Blueback. This little gem of a novel is a great read for all ages and a wonderful story of family, belonging, and the relationship between people and the environment around them. The natural beauty of Australia is also at the heart of a new and exciting Australian voice. Be prepared to have your heart broken with Favel Parrett’sPast the Shallows, which is a simple, poetic, and evocative story. The description of Tasmania’s wild coast will surely make you want to pack your bags and head South. 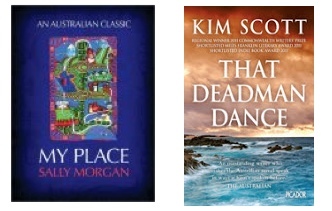 There are hundreds of other great Australian titles and you can find them with book descriptions, book trailers, author interviews and award listings at TheReadingRoom.com. You can also search by specific title, author, or by tags. Lastly, don’t forget to check out our National Year of Reading Book Club on our site, where you can see a complete list of great Australian books divided by state and territory, and tell us what books about Australia you have discovered.